I’ve had this brought up by several people now (Brian, Dan) so I thought I’d write it up since many will likely find it useful. You booted it up and if you’re a tech you noticed that after all is said and done, the device has 20GB remaining on it after Office 2013 & all the other updatable apps are in storage & the system is updated. It is possible to set up something called a ‘symbolic link’ between your internal Surface storage and the microSD card. This creates a directory that APPEARS to be on your internal storage but really routes to the microSD flash card allowing you to seamlessly use your microSD flash card as if it was an extension of your internal storage. Download a movie/tv show and it will download and playback off your card! It would appear that there is a flaw to this technique – not a huge one if you’re a 64GB Surface owner like myself but it’s worth noting. If you try to download a movie that is larger than the free space available on internal storage alone, the movie will fail to download because the free space estimate that is done is based on internal storage alone, and does not microSD card capacity. 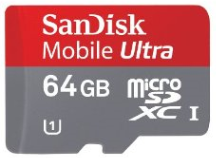 Takeaway: Make sure you have a large amount of free space in your internal storage to ensure you can write any size file/download you’d like to the microSD flash.